I have been an audiophile for some time and have owned several different systems. I made the move from digital to analog only about a year ago and have never looked back. My past systems have included gear from Cary, Sumiko, Raidho and Sonus Faber. 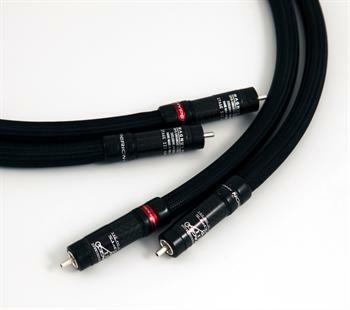 I have used top cables from companies like Synergistic, JPS Labs and Nordost. My current system is built on simplicity. My preamp, amp and phono stage are from Einstein. My speakers are Tidal Piano Cera. My source is an Artemis Labs table, Schroeder Reference arm with a Lyra Titan I. The room is a dedicated room and, while small, has the proper treatment to bring out the potential of my gear. I recently went on a cable quest upon buying the Tidal Piano Cera. All wiring is kept consistent throughout the system (no mixing and matching). First up was Nordost Valhalla as these were used with my previous set up. I have to say, the Valhalla cables were simply not a fit with the system whatsoever. They were actually tough to listen to. Etched would best describe the overall sound. I would not recommend these whatsoever for anyone who owns Tidal speakers. They were quickly sold and I arranged auditions for 3 other brands – Synergistic, Siltech and Stage III Concepts. Tesla cables, powercells and speaker cells. The cables were the correct mix of Tesla series for source and power. I was a little overwhelmed at first. I have owned these cables before but never this many. Cables, lights, plugs…wow…this was a lot to take in. Given my goal for a simple system, I had my doubts as to whether these were for me. As for the sound, they were a huge improvement from the Valhalla. The soundstage was big (really big). Bass was tight and the etched sound from the top end went away. Good news. I kept them in for some time. Over the period, I could not help but notice one thing. Some pieces of music began to sound a little exaggerated. I spoke with a fellow audiophile about this. The word he used was “Technicolor”. Honestly, they were still really good. But I wanted to find something that I believed was more true to the source. The Tidals are very revealing. Out went the Synergistics (except the powercell and some power cables)….these will stay around for a while. In came Siltech. Siltech – I used Siltech Prince ics and LS 188 speaker cables. The Siltechs are expensive and I realize that not going to the newer speaker cables may have held them back. But, this was the decision I made based on budget. I kept the Synergistic power products in. I am sure that Siltech makes great cables and that they work well in many systems. To me, they fell flat. The top end seemed rounded off and dull. They were the opposite of the Valhalla and just went too far in the other direction. I did not keep these around too long. Stage III Concepts -- OK, I was skeptical. I am an avid internet searcher/reader. I was surprised that I could not find more information on these cables. I have been a customer of the product lines that Brian Ackerman of Aaudio imports represents for some time. Brian originally turned me on to Einstein gear when he was based in Orange County California. He is a knowledgeable guy with an ear (and an eye) for some great gear. Brian sent along Stage 3 Magnus Prime cables for my system, which are second from the top in the line. The Magnus Prime is a silver/palladium alloy cable similar to the more expensive Gryphon. Stage III manufacturers their own “Hyperion” connectors, which look to be very well made and utilize carbon fiber plug housings to eliminate external vibrations. Contacts are pure silver with special ceramic core. Stage III cables are handmade to order. The first word that comes to mind for me with the Stage III is “true”. Things fell into place with the system. This was by far the best imaging I have had in my system, ever! My wife came down to the listening room and we put on Miles Davis Kind of Blue. She noted, “It sounds like they are in the room with us”. She was right. These cables really did everything right in my system. Bass was perfect. The top end was not harsh or rolled off. The pieces fell into place. I am a fan of the “phantom” center sound when you get the voice or instrument dialed in so it sits just above the middle of your room. The Stage III Magnus Prime brought that in spades. I have continued to go deeper into my collection and am now listening to music I had not listened to in a while. These cables are as natural as anything I have ever heard. All I can say is these cables are special. I think it is only a matter of time before more audiophiles discover them.